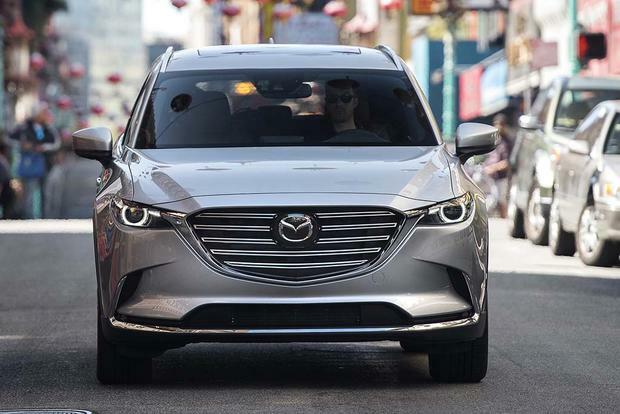 Our managing editor sings the praises of the 2018 Mazda CX-9's head-up display. This small update goes a long way. 2017 GMC Acadia vs. 2017 Mazda CX-9: Which is Better? Comparing two of the newest family crossovers, the 2017 GMC Acadia and 2017 Mazda CX-9, to see which might be better for your family. Here are eight ways the 2016 Mazda CX-9 is perfect for carpool duty (specifically, it's good at helping you forget you're on carpool duty). For some strange reason, Mazda doesn't bring its full SUV lineup to the United States. Log on to a technology or car-related website and you'll probably be greeted with a story about self-driving cars. The race is on to bring autonomous vehicles (AV) to production. Technology titans, like Google, as well as several carmakers have AV test mules roaming the street, or a test facility, all in the name of putting AVs into the hands of consumers in the next decade. Some carmakers and technology companies are forging partnerships to reach that goal. It's a big deal. Not every carmaker, however, is convinced cars requiring absolutely no human involvement to get from one place to the next will ever dominate our roads. Mazda is among vehicle manufacturers strolling rather than barreling toward AVs. Although it's keeping pace with current self-driving technology, it isn't with the objective of eliminating the human element from driving. 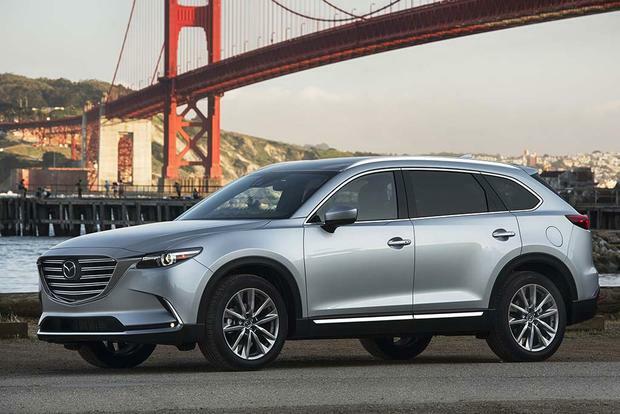 Just launched, the completely redesigned 2016 CX-9, is the latest and most-up-to-date vehicle to roll into Mazda showrooms. Because it's Mazda's newest product, this crossover is an ideal example of the brand's current self-driving technologies. And, while its sliver of autonomous technologies might not be as full as, say, that of Mercedes-Benz, what Mazda does offer is on par with most of the industry. 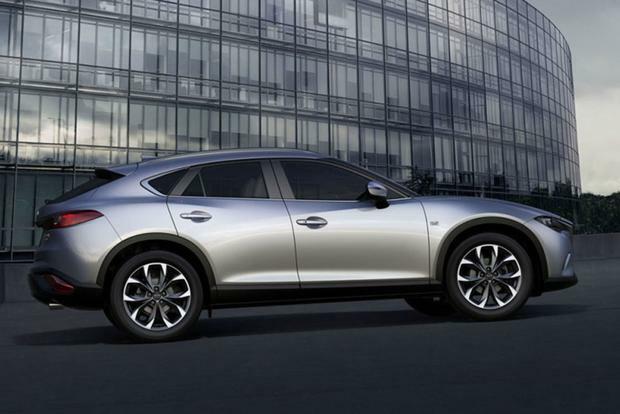 In addition to a blind spot monitoring system and rear cross-traffic alert, the CX-9 has a number of self-driving-inspired technologies based on its available Distance Recognition Support System (DRSS) which constantly measures and visually displays the distance between the CX-9 and the vehicle in front of it. Active safety features relying, at least to some degree, on DRSS include Mazda Radar Cruise Control, Smart City Brake Support (SCBS) and Smart Brake Support (SBS). SCBS Forward helps the driver avoid frontal collisions at the slow speeds typical of stop-and-go traffic on busy urban streets at speeds below 19 miles per hour. It also has the capacity to function in reverse with SCBS Reverse to brake before hitting an obstacle when backing up. SBS performs a similar function to SCBS Forward, but at speeds up to 90 mph. Other active autonomous active safety features include high beam control and lane-keep assist. Current thinking among product planners at Mazda is that a completely autonomous vehicle in the hands of consumers is decades away, if in the future at all. That's not to say Mazda doesn't believe self-driving technologies that help humans perform the tasks of driving won't continue to grow and evolve, but that humans will continue to be in the driver's seat for at least the foreseeable future. With that in mind, Mazda sees its role in developing autonomous technologies as aiding rather than replacing the driver. As a smaller producer of vehicles, Mazda has fewer resources to spread around. For the time being, at least, it will continue to pursue self-driving technologies benefiting the driver or protecting passengers, while keeping an eye on industry developments in the race to bring totally self-driving cars to the marketplace.